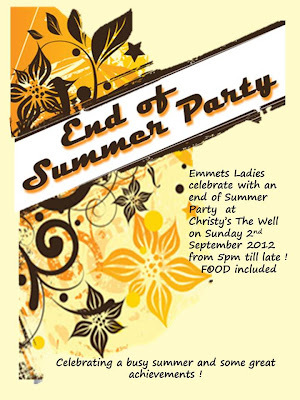 Emmets Ladies host an end of Summer Party at Christy's The Well on Sunday 2nd September from 5pm till late, with Food included. This party is open to everyone. Emmets Ladies are celebrating a busy summer and some great achievements so please come along and enjoy the evening with us.